The state Department of Mental Health ordered four Arbour Health System psychiatric facilities to correct “significant patient care and life safety violations” or risk a shutdown of admissions, according to a statement from a state spokeswoman. 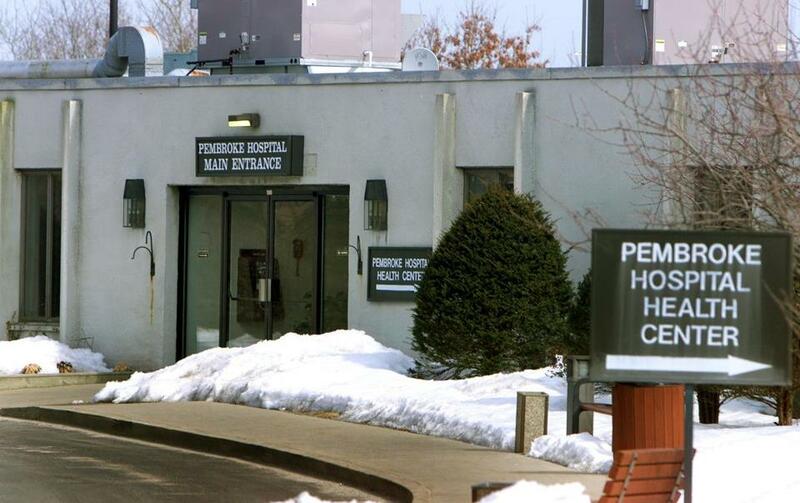 The company submitted corrective action plans Thursday for the four facilities cited by the state: Pembroke Hospital, Westwood Lodge, The Quincy Center, and Arbour Hospital in Jamaica Plain, according to the Department of Mental Health. The state had ordered the plans earlier in the week. Over the past several weeks, state officials conducted a series of unannounced licensing inspections, at all hours and on weekends, at every Arbour Health System inpatient facility in Massachusetts, said Executive Office of Health and Human Services spokeswoman Michelle Hillman in a statement. The violations discovered require “immediate corrective action,” she said. The nature of the violations was not immediately available, nor were details of the corrective plans. The state’s demands were reported Saturday by The Patriot Ledger. Arbour Health System, the state’s largest private provider of mental health services, is facing scrutiny for its billing practices. If the corrective plans do not “meet the urgent patient care and life safety violations, DMH is prepared to take any licensing action necessary to protect patient safety, including the closure of admissions,” said Hillman. All the facilities have begun implementing the corrections, said a spokeswoman for Universal Health Services, which owns Arbour. Some improvements already have been seen, according to the Department of Mental Health. Arbour and the department, which met last week, “share the common goal of ensuring the best possible care and treatment for our patients and we appreciate our collaborative relationship to achieve that goal,” said Universal Health Services spokeswoman Judy Merel in a statement. Pembroke Hospital, Westwood Lodge, and Arbour Hospital are all hospitals, Merel said, while the Quincy Center is a satellite of Arbour Hospital. “[The Department of Mental Health] has recently resurveyed the three hospitals and we are awaiting formal confirmation from DMH of acceptance of corrective actions,” said Merel. The violations are the latest in a series of issues discovered within Arbour Health System, which is the largest private behavioral health care provider in the state. Arbour has been repeatedly cited by state regulators over the past several years for poor care and inadequate staffing, and the Department of Justice is currently investigating five of its hospitals for possible billing fraud. 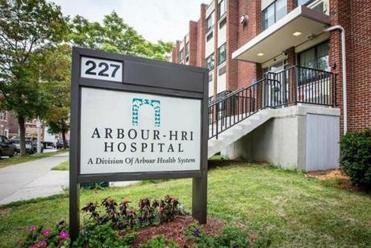 At Arbour-HRI Hospital in Brookline two years ago, public health officials found the hospital failed to provide active treatment to some patients. And the US Supreme Court this month plans to review a case brought against Universal Health Services by the parents of a teenager who died in October 2009 after receiving care at an Arbour clinic in Lawrence. The girl’s parents contend that the company defrauded government insurance programs by charging for services provided by therapists unqualified to care for their daughter, who was covered by Medicaid. “United Health Services has been maximizing profits at the expense of patients, which I feel is at the root of the problem,” said Kevin Hall, New England director of the Citizens Commission on Human Rights. Hall said his national organization has been investigating United Health Services throughout the country, and he has been investigating its facilities in Massachusetts. “People should do the research, and they will notice that UHS hospitals are operating for profit more than they are for health,” he said. Unannounced visits by Department of Mental Health officials on Thursday showed signs of some improvements in all four hospitals, according to the department, including the repair, organization, and cleaning of some areas identified as needing improvement. Pembroke has obtained new emergency carts for all units, and trained nursing staff on their location and use, according to the department. The seclusion room on the adolescent unit was repaired and painted, and evidence of air quality testing was provided. Signs and postings were updated, and extra safety equipment was put in place. Food storage and handling were improved. The department will continue unannounced visits, according to officials, and will focus on safety, emergency preparedness, actual staffing levels, responsiveness to patient needs, and cleanliness. Evan Allen can be reached at evan.allen@globe.com. Follow her on Twitter @evanmallen. Liz Kowalczyk can be reached at kowalczyk@globe.com. Follow her on Twitter @GlobeLizK.